Hey! We’re John & Sam Butler. Married since 2009 & Mama/Daddy team of 3 little girls, we spend our time taking photos, making coffee & playing dress-up. We sure love a good wedding because we believe marriage is a beautiful thing. We know you’ll be showing off these memories for decades & we’d love to be part of that. Now for just about every FAQ we have ever encountered. Can I get a quote / set up a consultation? Yes. Pricing starts at $3500 for our 8 consecutive hour packages per service. Please email info@newvintagemedia.ca to request a specific quote. Consultations are available by appointment in our downtown Hamilton studio-home, by appointment at a place-where-they-serve-good-coffee in Toronto, or we are happy to meet by phone, Skype or FaceTime. This year, we will be at The Wedding Co. winter exhibition if you’d like to meet in-person but incognito where you pretend you’ve never heard of us before. Weren’t you called “New Vintage Media”? We were! But we changed our name. Now it’s… our names. Straightforward. Wahoo! Why did you change your business name? We operated as John Butler Weddings from 2009 – 2012, and as New Vintage Media from 2012 – 2017. New Vintage Media got a super strong Google standing, so the change comes with a bit of internet-pain. Despite that, in 2018 and going forward, we are, more or less, pruning our business. Like a growing plant, sometimes it’s good and healthy to scale things back, cut smaller branches back, so the main shoot of the plant can go stronger. At one point in 2017 we had seven shooters out on three different weddings, and while that sounds like the Ultimate Goal (and it was at the time), we realized that it wasn’t what we wanted. We wanted to keep ourselves intimately involved in the weddings we were a part of, because we believe in the adventure story, and the marriage story, and we want to get to know our clients. We are not a wedding machine. So now, you can book both of us, together. You can still add second shooters, same-day editors, and expand your team, but the team is based on John and Samantha. Because that’s how we started, and that’s how we intend to continue. Also we just really like working together. As a family, our heart is all about community. We really love getting to know people, hearing their stories, engaging their hearts. We think that marriage is a community in and of itself – one that can be used to change the world. Two are always better than one. With photo & cinema, we have the chance to document the spectacular coming together of your new community. Why would we pass up that chance? Too legit to quit. John was professionally trained in photography at Humber College’s Creative Photography program. Samantha finished an undergrad in something(s) totally unrelated at McMaster University & was trained under John. Commercially, John has shot for agencies including Publicis Modem, John Street, and Doug Serge and Partners for clients such as Chrysler, Molson Canadian and Labatt Blue US. Here’s a link to his website. New Vintage Media has won awards including Top 10 Best Wedding Cinematography Company in Canada & Top 100 Best Wedding Photography in Canada and has been featured on Junebug Weddings (here), The Knot (here) and (here), Style Me Pretty (here) and (here – cinema), Weddingful, Event Source (here) and once the Yellow Pages wrote a cute little article about our family business. We also once had a photo on the cover of a magazine, which was super cool. Thanks for asking! Sure is. That’s why our turnover is only 6 weeks. Tell me briefly about your packages. Our “Investment” page details our packages and price points. Our most popular package is 8 hours of photography + 8 hours of cinematography, which are $3500 for the first service & $3250 for the second, totalling $6750 for 8 hours of photo and cinema with a team that knows and loves each other. Aww. This includes an 8″x8″ softcover album and a selection of 4″x6″ prints. We believe our rates are competitive given our experience in the industry, our professional approach, and the fact that we have captured over 100 weddings since 2009 and are familiar with the flow of a wedding day. You can always add hours at a later date if required. 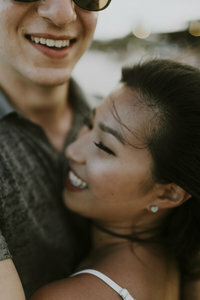 Engagement sessions begin at $350 plus HST. All of our packages include 1 photographer or cinematographer, which we believe is suitable for weddings of less than 200 guests. Additional photographers and cinematographers can be added for a minimum of 4 hours (location dependent) – so if all you want is another photographer or cinematographer to capture the preparation & ceremony, we can help you with that! Or, if you want an additional staff member for the whole day, we can do that, too! Do your packages come with 1 photographer / cinematographer, or 2 photographers / 2 cinematographers? Our base packages include 1 photographer ($3500, 8 hours) and/or 1 cinematographer ($3500, 8 hours – or $3250 when bundled with photo). Since 2009 we have been shooting most of our weddings with 1 photographer & 1 cinematographer. Unless we are working with a student or a shooter-in-training, we don’t bring an assistant. We carry our own gear, change our own lenses, and set up our own lighting when necessary. So I can book 8 hours of photo and cinema for $6750? F’real? What do you mean by “consecutive hours”? Our hours are booked consecutively, which means from start to end. So, if your wedding is all at 1 location, you have your photo/cinema team for 8 hours (or 10 or 12) at 1 location: 2 PM to 10 PM, for example. If you have travel between locations, your hours are booked and include travel between locations: still, 2 PM to 10 PM. We are booked for you, for the day, and you have the flexibility to spread your hours as you see fit. Which venues have you worked at before? Here’s a list! We love adding to it, so don’t be nervous if you don’t see it here. There’s a first time for everything. And of course, in peoples’ own homes, because why not? How in the heck do you handle Bride & Groom preparation with only 1 shooter? Time warp? Body doubles? Science?!? It’s just us, no cool science. Wedding days tend to stagger themselves in a natural way, and our approach is all about the natural, candid flow of your day. The Groom needs to get ready before the Bride, and the Groom needs to be at the Ceremony location before the Bride. We work with our couples to create a schedule that is concise and time-efficient while keeping our approach un-intrusive. If you’re planning a first-look, please see below ’cause we love that. When do I need a second shooter? 1. The Bride & Groom are getting ready at the exact same time, and you want full Groom preparation coverage (instead of a few staged photos later in the day), and you want to do a first look. 2. Your wedding ceremony is in tight quarters; so tight that one photographer won’t be able to move back and forth from one side of the ceremony to the other. Think: small rural chapels that hold only 50 guests but you’re squeezing in 75 guests anyway; boathouses; actual boats; some downtown Toronto locations that are basically the size of a Bachelor apartment yet somehow operate as a hip venue everyone wants to get married at. 3. Your wedding guest count is over 200 and you want extensive guest coverage because you love every single one of your guests dearly. Typically with 1 photographer we allocate 45 minutes to 1 hour during the cocktail hour for guest coverage & photos with the Couple mingling with their guests. This works great for guest lists of 200 or less. However, with more than 200 guests, two photographers will be more suitable for extensive coverage. Can I add a second shooter? Absolutely! We add 2nd shooters in 4 hour increments, so if you only need a 2nd shooter for preparation coverage or ceremony coverage, we got your back. 2nd photographers are available for 4 hrs, 8 hrs or 12 hrs. All photo packages include a minimum guaranteed number of stylized & edited photos in high resolution on USB and an online gallery. Most weddings yield between 500 – 1000 edited photos, depending on the length of service, number of guests, and number of your wedding party. You own all rights to the photos and can conduct your own printing, or book through us for professional quality prints and albums. We don’t watermark or apply logos to any of the photos. Why don’t you put logos or watermarks on your files? Because that ruins the image and because we believe that if you’re happy with your photos, you’ll tell your friends about us anyways. Do you take posed shots, or family group photos? Why don’t I see any on your website? Of course. A typical 8 hour wedding includes candid and posed photos of the bride getting ready at her location, the groom getting ready at the ceremony location, the ceremony details / decor, the ceremony itself, large family group photos, immediate family photos, bridal party photos, couple photos, reception detail / decor photos, and reception photos. We only post pictures on our website that reflect the artistry of our style – usually these are the candid ones – but we take posed shots, too. John or Samantha or both. What if my shooter gets the sniffles and/or Samantha is off having yet another baby? We have a team of professional freelancers always ready to fill in. Remember, we used to have five other staff? They’re still here for us if we need ’em. Also: So far, no new babies in the works. 3 is good for now! Gearhead hey? We get it. For photo we shoot on Canon 5Dmkii and Canon 6D. For video we shoot on Canon 5dmkiii, Canon 6D, Canon M3, and cinema lenses. To get the look you see in our portfolio, we also use a combination of sliders, steady cams and gimbles. Do you know how to use flash? Another silly one but yes, of course. If there isn’t a window, bring the window, son. We offer on-camera and off-camera flash depending on the scenario & needs of the situation. We reserve the use of flash for truly dark situations, though. Like night time. We rarely use flash in a ceremony because that distracts everyone. My uncle / sister / best friend from childhood is a photographer. Can they tag along? We love to see other artists succeed, and we encourage learning & putting yourself out there. But, in our experience, we’ve found that a third party friend-or-family-member-photographer tends to interrupt the flow of the day. Our goal is to provide direction to you (the couple) while still maintaining a candid & natural flow to your day – but this can be a challenge with a few too many cooks in the kitchen. All cinema packages include a 3 – 5 minute highlight reel set to music of your choice, plus full coverage of your ceremony from 2 angles – roaming & tripod – as well as all of your wedding speeches & first dance. This is possible with only 1 cinematographer (we’ve done it many times), for weddings with less than 200 guests and in a location that allows for some mobility. We send all of your video files via a little ol’ thing called Dropbox and encourage you to back it up to a hard drive. You know how your highlight videos look old, but new? Tell me about that. Our videos reflect a vintage, retro style. A little nod to homemade, but with all of the professional gear, experience, editing and finessing that you would expect from us. Are your ceremony / speeches / first dance videos in the vintage style? No, they are clean cut. Tell me about Super 8 Film. Like, do you mean REAL Super 8 Film? You can add real Super 8 Film to your package for an additional $1250. This gets you 3 reels of original film footage from your wedding day – that’s about 9 minutes of film. Of course, you don’t have a Super 8 projector, so we process the film professionally and transfer the footage onto a DVD so you can watch it back. Highlights of this footage are added to your highlight reel. We also provide you with a cute little package of your original Super 8 film so when your Grandkids snag a vintage projection setup they can relive your wedding day in a way that will bring. them. to. tears. What is the password for viewing your videos on Vimeo? The password is always “vintage”, for every video. Can we choose our own highlight reel songs? Yes please! We ask you to provide us with a list of 3-5 songs to choose from, and we pick the one that best fits your wedding day and video. We provide you with a sample online as well as on disc or hard drive. Can you choose the highlight reel song for me? Can I have all of the unedited photo/video files on a hard drive? Yes. The additional fee is $250 plus HST per medium. Why don’t I get the unedited photo/video included in my package? Unedited photo files are in RAW format, which is not the same as JPG format – which is the file format you may be used to using and seeing on your computer. Unless you yourself are a photographer or graphic designer, it isn’t likely you’ll have the correct program (Adobe Lightroom / Photoshop) to view the RAW files. If you are a photographer or graphic designer, you probably skipped this question anyway. So, for you to view your ‘unedited’ files, we need to make them available to the average person by converting all of your unedited RAW files into JPG files. Shooting in RAW usually means shooting slightly underexposed, because we are able to pull “up” information (by information we mean pixels), which gives us a lot more flexibility when editing your photos. We want them slightly underexposed so we can best work with them, but you don’t. So, we need to take your RAW files, make them all correctly exposed for unedited JPG viewing (which is technically an edit), and export them onto a hard drive. That’s why we have a fee. The same process goes for video – for your highlight reel, we shoot in 10-30 second video clips through the day so that we have usable clips that showcase your style and personality in the day. We then use these clips to create your highlight reel. When we shoot your ceremony, speeches and dances, we shoot in much longer clips – but you get that edited footage, anyways, so you wouldn’t need the unedited video files from your ceremony, speeches or dances. So, when we take the 10-15 second unedited clips from your whole day, we need to make them available on a hard drive – you provide us the hard drive, and we move the files over. Sounds easy, but the process is quite time consuming and steals one of our editing computers for a half day. That’s why we have a fee. Oh noooo, we gave away our secrets! Oh well. Do you take input on the style we like to see? From our website, you can get a pretty good idea of the style you can expect from the work we do: We prioritize photos & video of the couple, and in capturing the true emotion of your day. We value intimacy and want to put into memory you who you really are, because you who you really are is awesome. But we know you’ve been planning this in your head for months and you have an idea of what you like – that’s why we ask couples to send us links to their Pinterest board so we can reference ideas that grab your attention. We already booked our photographer (or cinematographer). Can we still hire you for cinema (or photo)? Absolutely! We love to work alongside other teams to make the most of your wedding memories. We’re friendly! How does your booking & payment structure work? We work with you to put together a contract detailing the package you’ve chosen and deliverables, and we take a 20% deposit on booking. The remaining balance is payable on the wedding day. Any payments made are non-refundable. Can you cut the tax if I pay cash? We claim all income and expenses to the Canada Revenue Agency, and then we pay the tax on it quarterly. That’s just the way small business rolls in Canada – and we don’t mind it so much, considering we have free health care. Our preferred methods of payment are cheque or interac e-transfer. You can pay cash, however we don’t cut the tax on the balance owing. We ask for cash payment to be made prior to the wedding day, not on the wedding day, so we aren’t carrying dolla dolla billz through your reception. You name it, we’ll go there. We live in Toronto but we often shoot in Muskoka, Niagara, Hamilton, and Vaughan, too. There is no travel fee for weddings in the GTA, Toronto, Vaughan or Mississauga. Travel fees outside of these regions are outlined in our pricing package. What’s the etiquette on meals for wedding vendors? We are so glad you asked! Us wedding vendors are with you for very long days, and we don’t bring bagged lunches. It’s kind of tacky. So, we ask that you please provide us with a seat at the reception. Two reasons for this: 1) we need to eat, and 2) it helps us to get better coverage than if we’re elsewhere in the venue during speeches. Some venues provide “vendor tables” off in the nether regions of their grounds, but us being far and away from your reception means that you lose out on footage of spontaneous things – like kissing games, impromptu speeches, and generally fun wedding reception happenings. Nobody wants that! Email us at hello@johnandsamantha.ca or call 647.339.6755. We’d love to set up a consultation at our downtown Hamilton studio-home, meet you at a coffee shop in Toronto, or chat over phone, Skype or FaceTime.